I’ve got most of my shopping done, the cards are mailed, the cookies are baked and all I have left to do is the wrapping. Unfortunately, I’ve come down with a nasty flu bug, and I was down and out all day yesterday. I feel a bit better this morning, so I’m hoping I can at least get some laundry done and some blog posts written today. 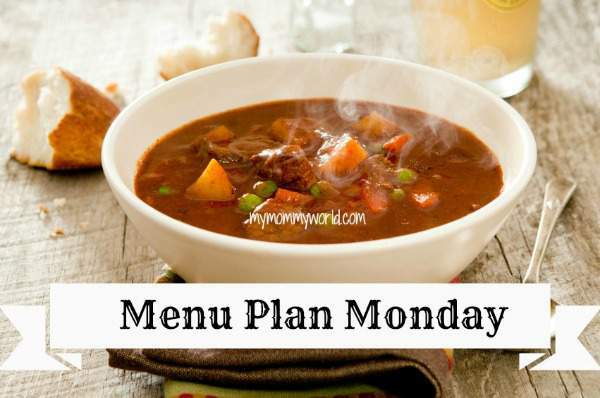 For more inspiration for your own menu, head over to Org Junkie’s Menu Plan Monday link-up. I’m sorry to hear your not feeling well. I know my husband was sick last week. My kids were sick all weekend and I finally caught it too. About five days into it and my husband started to feel better. I hoping we will all be better about mid week. I need to finish up my baking. With everyone sick it fell by the wayside this weekend. We have an easy menu plan for this week, so I’m hoping to get caught up. Thanks Shelly! I’m just glad we are getting it out of the way before Christmas! It’s Chili for us tonight– leftovers from yesterday– think I’ll add a Taco Night later on this week, too!